Thanks for visiting Clinic 36 Beauty Salon, Darlington’s exclusive facility for top quality beauty treatments. Clinic36 offer a complete range of professional waxing treatments from our exclusive Duke Street beauty salon. Including leg waxing, eyebrow waxing, back waxing and more. Providing a quality solution to long-term hair removal. Are you looking for relaxing facial? We have a range of personalized facial treatments to suit your skin that will give you the results you want. Facials include facial masks, detox winter and summer skin care solutions. All carried out from our exclusive beauty salon in Duke Street, Darlington. Manicure and pedicure treatment for ladies and gents to suit everyone. Using specialist nail treatment that will strengthen your nails and promote the growth of wonderful natural nails. 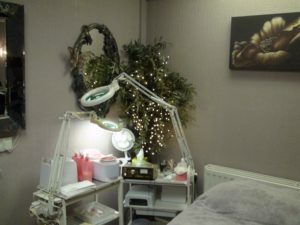 The exclusive beauty treatments and therapies available at this boutique Darlington beauty Salon are all carried out in the peaceful setting of our private therapy room. Relax and unwind while you are pampered by a professionally qualified beautician, who is dedicated to providing the highest levels of customer service. As one the region’s most popular beauty Salons, Darlington’s ladies (and gents!) are keen to make the most of these exclusive treatments. In fact many customers visit Clinic 36 from neighbouring towns right across the North East, including Northallerton, Durham, Hartlepool, Bishop Auckland, Gateshead, Sunderland, Richmond, Middlesbrough and Stockton-on-Tees. Our reputation precedes us! Combine the full range of hair and beauty treatment with the fantastic half day and full dayPamper Me! treatments. Treat yourself – or make it a gift to someone special! Full day and half day sessions are available with our beauty consultants.